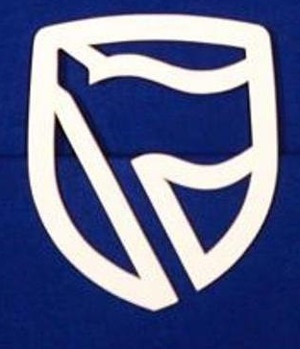 Half of the 91 branches that Standard Bank will close are in Gauteng, according to a union representative. In mid-March the bank announced it would be closing 91 branches and 1 200 jobs would be affected. Most of the branches would be closed in June, it said. This comes at the bank reconfigures its consumer offering as more of its clients use online platforms for banking. At the time of the announcement, Standard Bank said it was consulting with employees and would provide comprehensive exit packages and funding for training so that staff leaving the company could be competitive in the labour market. Speaking to Fin24 by phone on Wednesday, Eugene Ebersohn, assistant general secretary of the South African Society of Bank Officials (Sasbo), a union which represents 80% of the affected workers, said that half of the 91 affected branches are in Gauteng. He likened Standard Bank's announcement to a "big bomb". Ebersohn said that some jobs would be lost through branch closures, other employees would be redeployed to branches where there are vacancies. For now, employees can choose to take voluntary severance packages or early retirement. "The big thing is that it is their choice," he said. Ebersohn said he had spent the past week doing retrenchment package calculations for people who are still deciding what to do. He said that he sensed anger in the branch networks. This process would continue until July. "There is still time for positions to open up and for people to be successfully redeployed in the bank." Jobs in the bank's IT environment will be changing as skills required for Standard Bank's new digitisation strategy require different skills, he said. Standard Bank, in response to a request for comment, said that to "protect the integrity of the process" and to "ensure issues are dealt in a dignified manner" no further details could be provided as the bank is still engaging with employees.